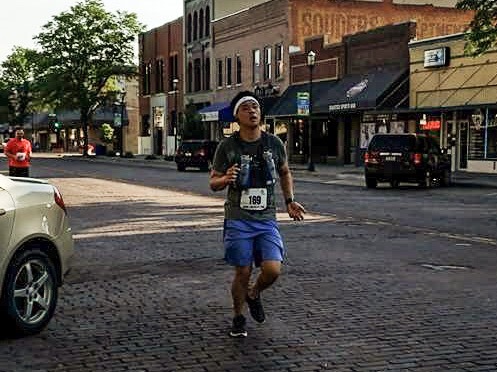 After running three virtual half-marathon races in Kearney, Nebraska, under different circumstances in the past year and a half, I registered for a legitimate 13.1-mile race in the city with the Buffalo County Stampede, taking place on June 10, 2018. This event would occur the weekend after I return from a one-week conference in Philadelphia, Pennsylvania, so I knew I would have to miss a vital week of training. I, however, forgot to consider the nearly inevitable heat I would be up against and refrained from turning on the air conditioner in my apartment so that my body could acclimate to the rapidly increasing temperature. Simply lying in bed made me sweat, and I even woke up early morning of the run due to the heat and relied on a cold water bottle on the back of my neck and stomach to fall back asleep. The temperature peaked on race day, and the unanticipated rainstorm the night before raised the humidity level as well. 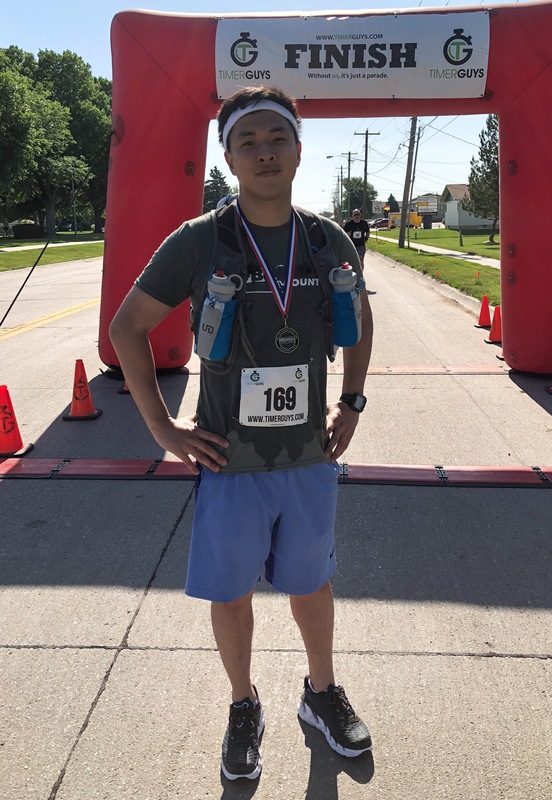 I wore a hydration pack containing two water bottles filled with Gatorade for a 75-degree start and 84-degree finish with the direct sunlight to my face, when I prefer long-distance running in the lower 40s. I began the course at a similar pace as that of my races in cooler weather, and I realized this strategic miscalculation five miles in when I noticed my fatiguing far earlier than usual. Halfway through, I ran a steady steep uphill on a bridge, which would have been a breeze in most cases but took much out of me here; I could have power-hiked at a similar pace without burning myself out, what I did for the second comparable uphill past mile 10. In spite of the course being mostly flat and untechnical, the worsening heat and my body’s producing an ocean of sweat drained me both physically and mentally. I added brief walks towards the end while hydrating, partly to conserve energy to finish strong but also because my stomach felt overwhelmed by all the fluid I shoved in and my bouncing around simultaneously. With no participant anywhere near me, I had difficulty finding an incentive to push. One runner finally came into sight with half a mile to go, and I took off and poured all I had left, crossing the finish line in 2:05:46. The drastic impact summer heat and humidity, although not summer yet technically, could have on my performance… I miss winter.